Zanu-PF yesterday welcomed the resignation of President Mugabe saying he had overstayed in his position as leader of the country. 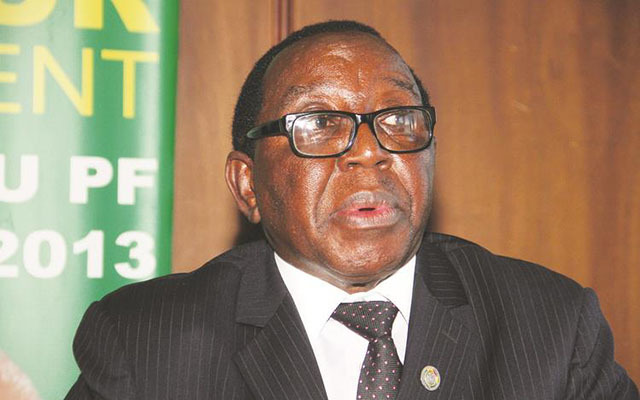 Zanu-PF spokesperson Cde Simon Khaya Moyo said the former Zanu-PF President and First Secretary deserved a rest. He, however, said Zimbabweans should acknowledge his immense contribution to the development of the country before and after independence. “The resignation of President Mugabe from office today (yesterday) is a very welcome development,” Cde Khaya Moyo said. “The writing was on the wall as evidenced by events of the last few days starting with the intervention by the Zimbabwe Defence Forces (ZDF) and culminating in the impeachment process by Parliament which was to conclude latest tomorrow (today).” He decried President Mugabe’s decision to wine and dine with criminals. Zanu-PF Chief Whip Cde Lovemore Matuke said President Mugabe had saved his reputation by resigning. “I think the people were determined to remove the President from the Office of the President and now that he has tendered his resignation, he has also saved his face,” said Cde Matuke. “He is a man who did a lot for the country and needed to rest and also be an advisor to the party. He is an important character for the party. We are excited that the President has made a voluntary decision to retire and we hope that the nation will move forward,” said Cde Matuke. Other reports indicated Cde Mnangagwa was set to assume power in the next 48 hours. Zimbabwe Chiefs Council president Chief Fortune Charumbira said the decision by the President to resign was commendable. “What he has done is commendable and was the honourable thing to do,” he said. Zimbabwe National Liberation War Veterans’ Association secretary-general Cde Victor Matemadanda said it was time for the country to unite and move forward. “What we now need is for all of us to unite and rebuild our country now that he has decided to resign. We hope that what has happened is a lesson to future leaders that you do not take people for granted because your power resides in them,” he said.